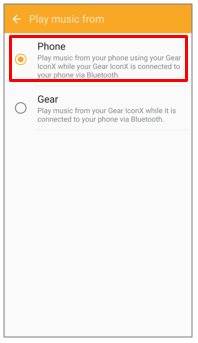 Listen to music saved in your mobile device by connecting the earbuds to the mobile device. 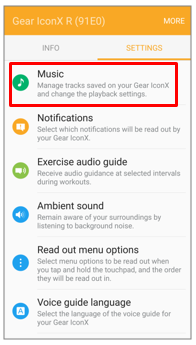 You can stream music played from the connected mobile device without saving music files in the earbuds. 1. 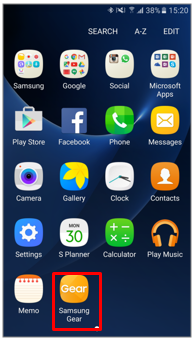 On the Apps screen of the mobile device, tap Samsung Gear. 4. Tap Play music from. 5. 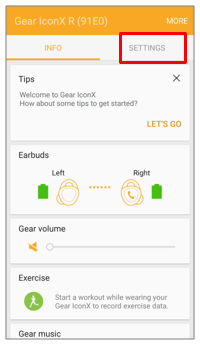 Tap Phone to set the earbuds to play music files saved in the mobile device. 6. Launch a music player app and play music. 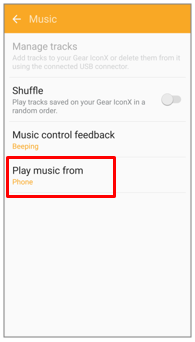 You can control the playback in the same way as when playing music saved in the earbuds.